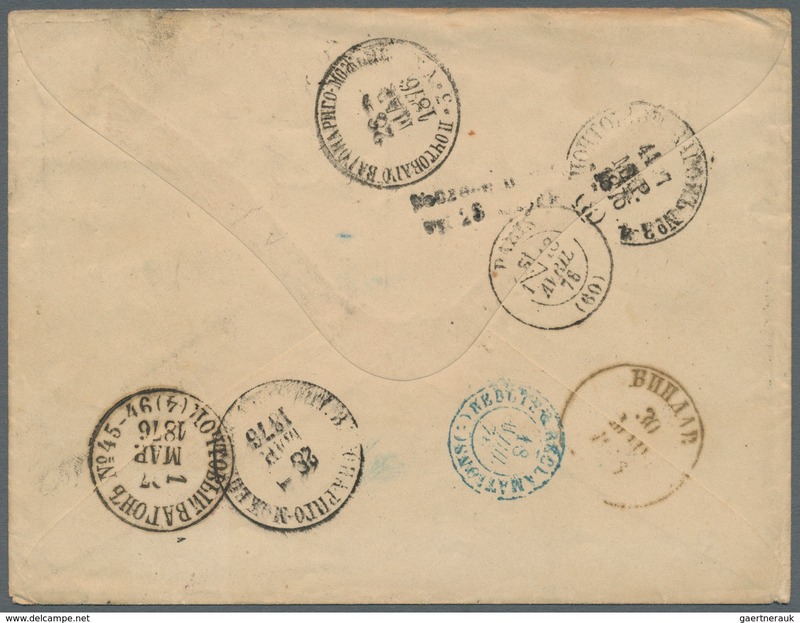 Lettland - Lettland - Besonderheiten: 1876, Ventspils, incoming mail from France, cover bearing two copies 15c. 1876, Ventspils, incoming mail from France, cover bearing two copies 15c. 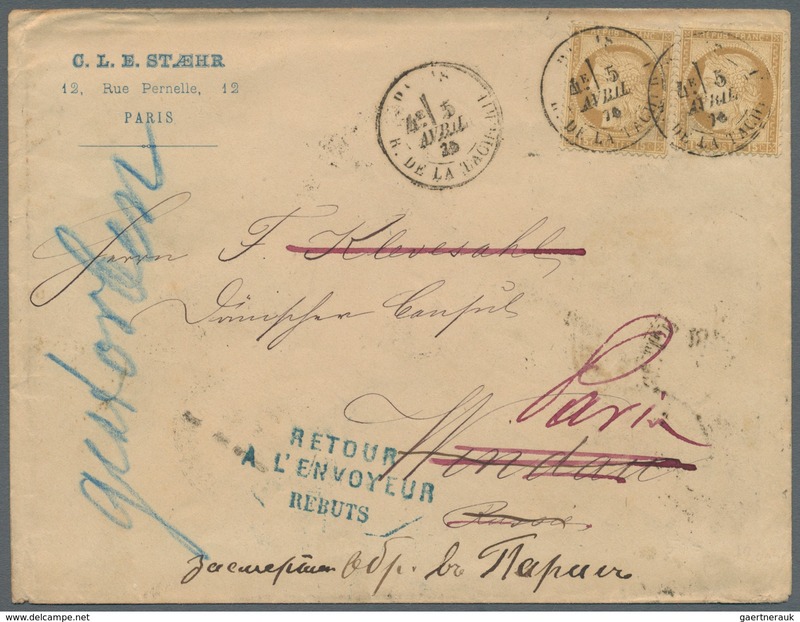 brown "Ceres" from "PARIS 5 AVRIL 76" addressed to Windau, endorsed "gestorben" (deceased) and retour, "REBUTS" mark on front and seven postmarks on reverse.